Updating the website for the first time in way, way too long. Apologies. I have new news! At long last, I have an e-book publication date for Heart’s Magic. I will be releasing it on June 3. And look! I have a cover! It will go up then at Amazon, B&N and Smashwords. It may take a little bit for it to go up at iTunes and Kobo and those other places. Anyway. If you are here, you know that my dot com domain got hijacked, partially due to my own slow moving self, partially due to my computer breaking down, and partially due to hijacking Japanese. But, I am here at GailDayton.net and I’m glad you are here too. As you can see, I do have some of my indie-published books up as e-books. These are good books (at least I think they are, and they’ve gotten some nice reviews, especially Knight in Black Leather) so I hope you’ll try one of them out and see what you think. Knight in B lack Leather is a contemporary romance (non-paranormal) set in Pittsburgh (that’s an actual Pittsburgh bridge on the cover) with an younger man and older woman as the hero and heroine. 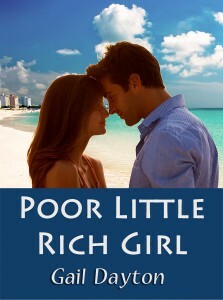 Poor Little Rich Girl is my most recent release, an d I’m pretty sure it pre-dates blowing out my knee last fall, so it’s not very recent, I’m afraid. It’s a short contemporary romance set in Palm Beach, Florida, a sequel to Her Convenient Millionaire, one of my early romances published by Silhouette Desire, before it became Harlequin Desire. It’s a modern-day marriage of convenience story, which is a plot device I’ve always loved. 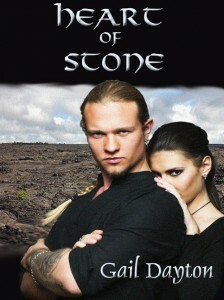 Then there is Heart of Stone. This is the book I almost sold before I sold my first book. It has a hot Viking-esque hero who travels from his alternate magical universe into ours in search of his king’s heart, which has been turned into a stone. (Hence, the title.) 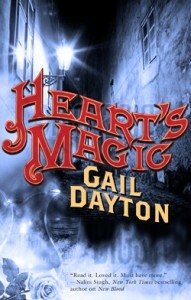 I still love the book, and I think it’s a great adventure as well as a lovely romance. Yes, it is a romance. I like a lot of different kinds of books, but the ones I like best have at least a little bit of romance, and the more romance they have, the better I like them. In the meantime, I’m posting to my blog again. If I can figure out how to do it, I will bring all the posts and everything over here, but if I can’t, it will still be there. It’s not terribly exciting–I’m a writer. I do a lot of sitting and staring out the window. Heading out for lunch at the local pizza joint and a trip to the library is a big event. But I’m going to be continuing my Texas for Writers series, and anything else I can think of to include. Before you go, pay a quick visit to My Books page. All of my books are there. Or will be as soon as I get everything transferred over.